Keyboard players to listen to. 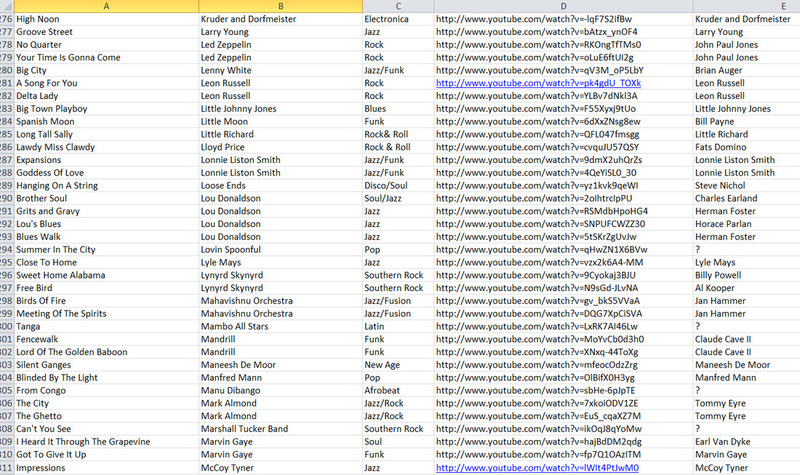 I have created an Excel database file to download with over 500 songs featuring keyboard players in many genres of contemporary music which includes the following information song, artist/band, style, youtube video link, keyboard player. This list is a must for keyboard players to hear many of the worlds greatest keyboard players. Here is a sample of part of the list.